We completed work stripping out old saturated header pipework and associated droppers, spray pipework and distribution headers. 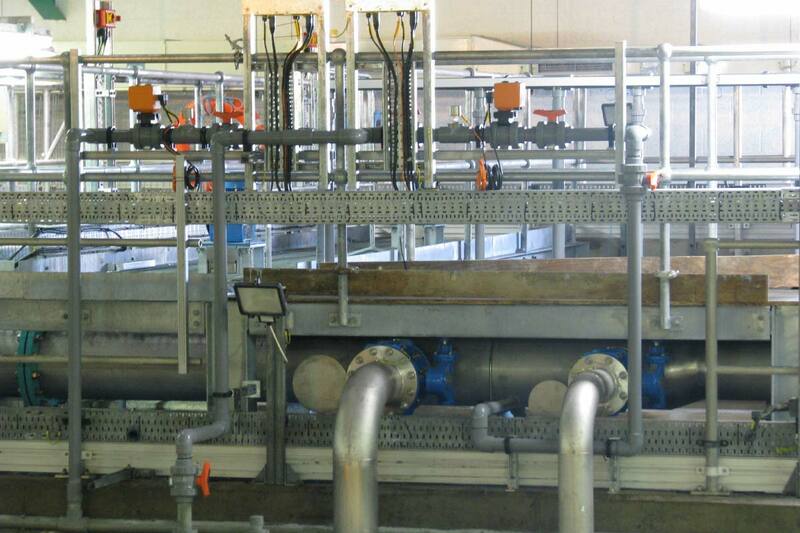 We manufactured and installed replacement larger bore pipework in stainless steel and PVC. 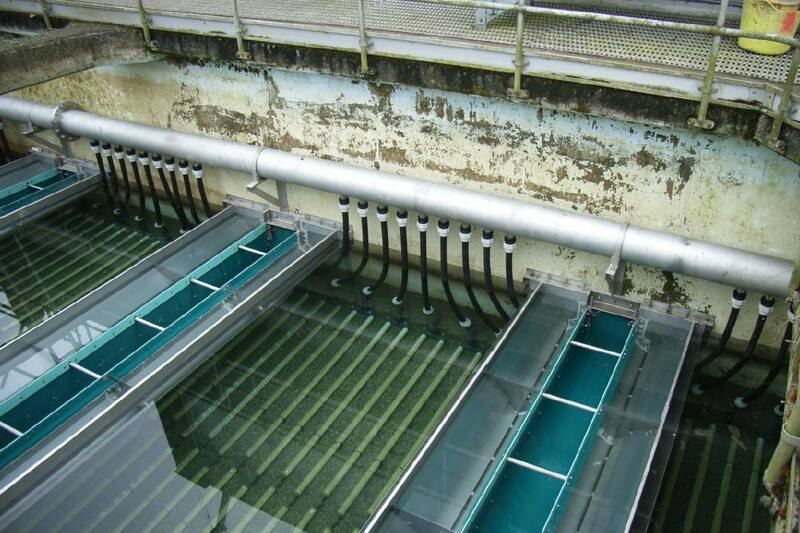 We also fabricated and installed new 316 stainless steel weir/ dispersion plates and penstocks in each tank. We also removed existing and installed new saturator vessels / equipment /pumps and pipework. Refurbishment of existing water treatment plant to up grade a number of process units including the Rapid Gravity Filters (RGF’s), Granular Activated Carbon Filters (GAG’s), high lift pump station plus new chemical dosing storage and distribution system. We completed work removing existing filter equipment from 13 No. Filters and in a phased manner installed new filter nozzles, backwash system manifolds and installed new low level Leopold type launders complete with media retention plates. This work incorporated the manufacture and installation of new stainless steel air blower distribution manifold and the installation of 3 No. Blowers. As part of the refurbishment of the existing GAC filter tanks we had to break into the existing air blower delivery main and install new Pipework up to the new filter distribution headers. 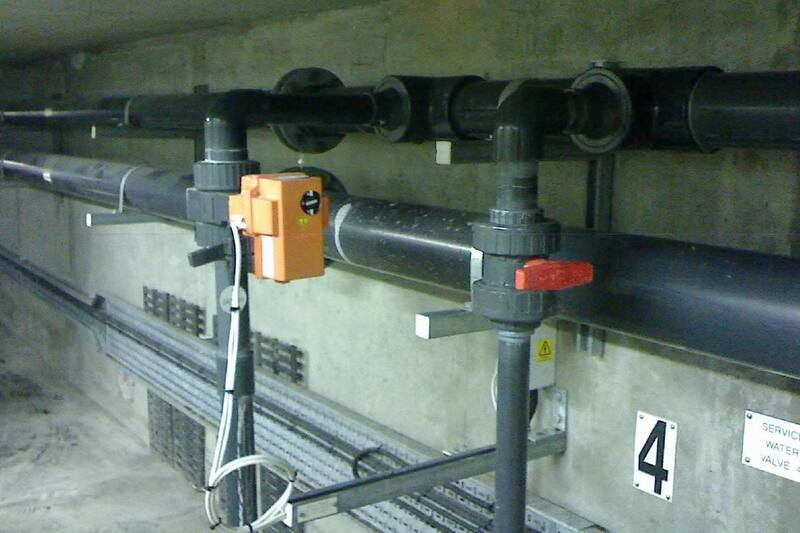 We also supplied and installed new GAC drain down and carbon Pipework in PVC and stainless steel. We installed chemical storage, delivery pipework to dosing skids and dosing delivery mains to the newly refurbished equipment. Chemicals included sulphuric acid, PACL and sodium hydroxide with pipework being run in dual contained PVC hose, PVDF, Dual contained HDPE and mild steel/ PTFE lined tanker fill Pipework. 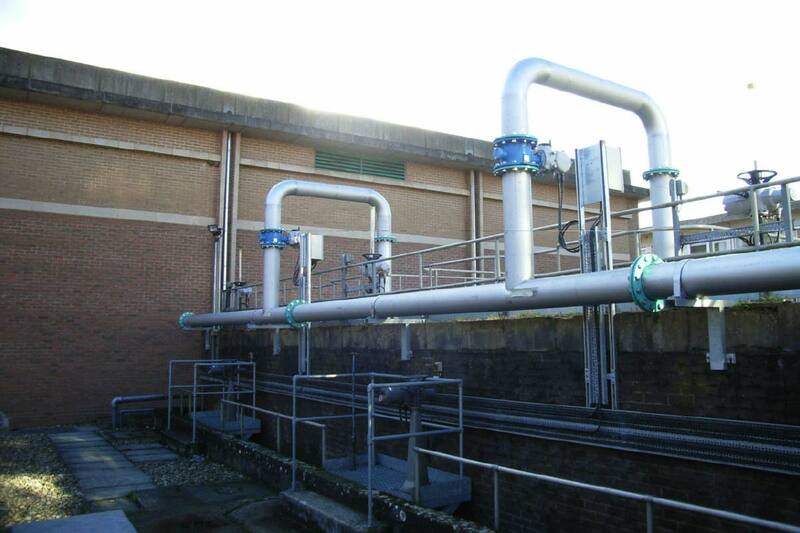 Due to the operational criticality of the Farmoor site the water supply had to be maintained throughout the contract, only two RGF and GAC filters could be out of service at any one time. Shut downs for major pipework modifications were limited to a few hours so detailed planning and close coordination was essential.